I loooove the holidays! It’s truly my favorite time of year. And one of the things I love most is wrapping gifts for the special people in my life. 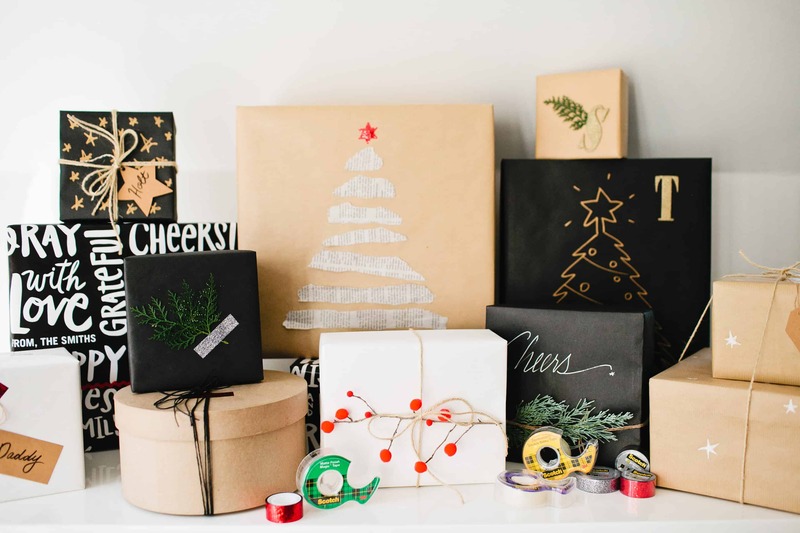 Here’s some fun easy to do ideas for wrapping up your holiday gifts this season. 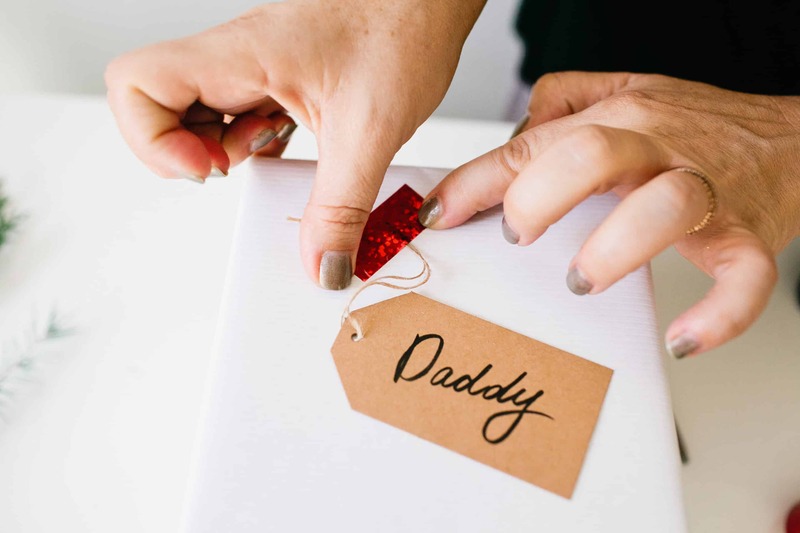 For the first craft, you’ll need natural craft paper, newspaper, Scotch Expressions glitter washi tape, and Scotch Double Sided Tape. Start by ripping the newspaper into long strips about 1 inch wide. 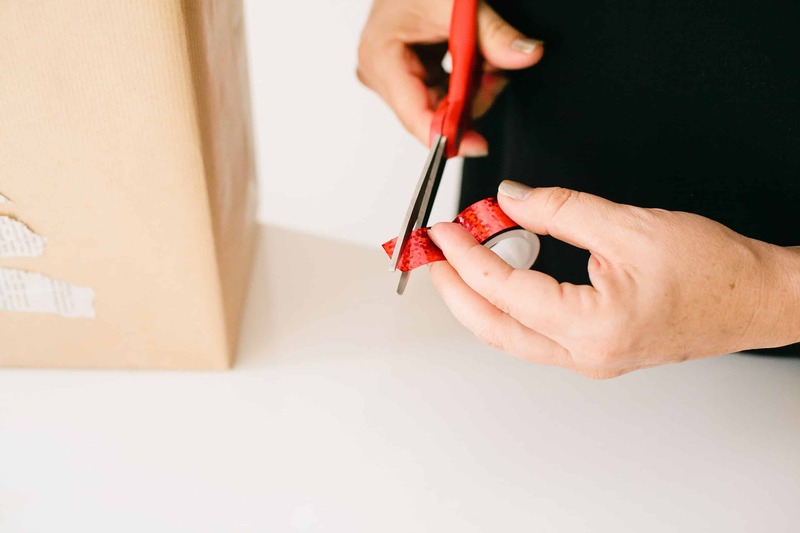 Lay one strip on the front facing side of your wrapped gift at the bottom. I recommend natural wrapping paper to make the newspaper print pop. Place it in the center so that it covers about three quarters of the side. 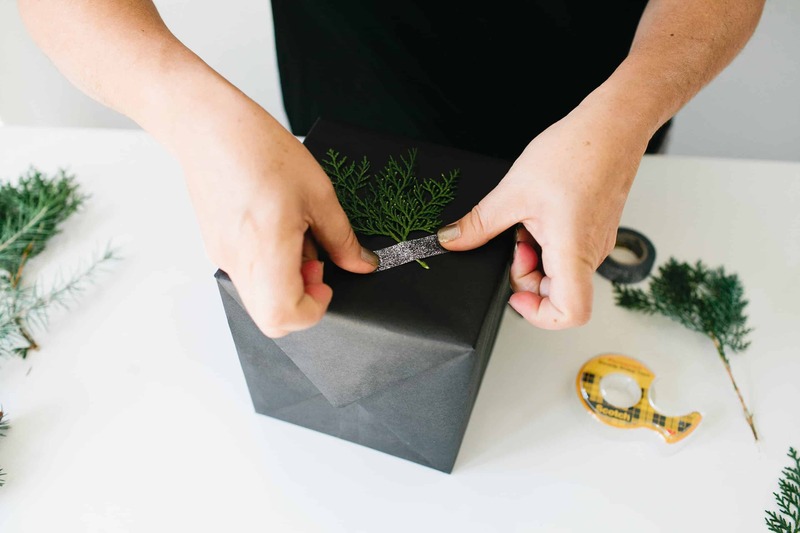 Arrange additional newspaper strips on the gift while gradually reducing the size to make a Christmas tree shape. Attach all pieces using Scotch Double Sided Tape. No gluing makes mess-free and saves you tons of time! While I was shopping at Staples, I found the cutest Scotch Expressions glitter washi tape in the main display. For this craft, I picked the red Scotch Expressions glitter washi tape but Staples has a bunch of other colors to choose from in the main display. 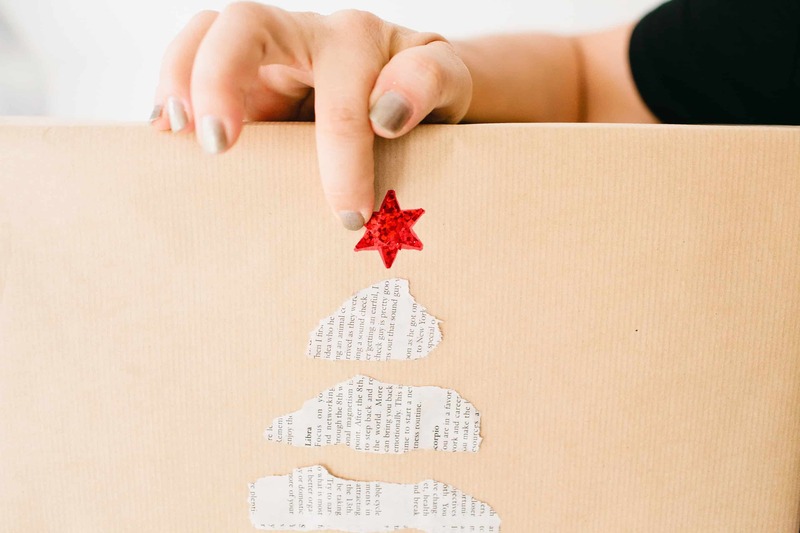 Using your scissors, cut the washi tape into a small triangle, and place it on top of the newspaper Christmas tree with the point facing upwards. Cut another triangle and place it on top with the point facing downwards, creating a glitter star. Voila! 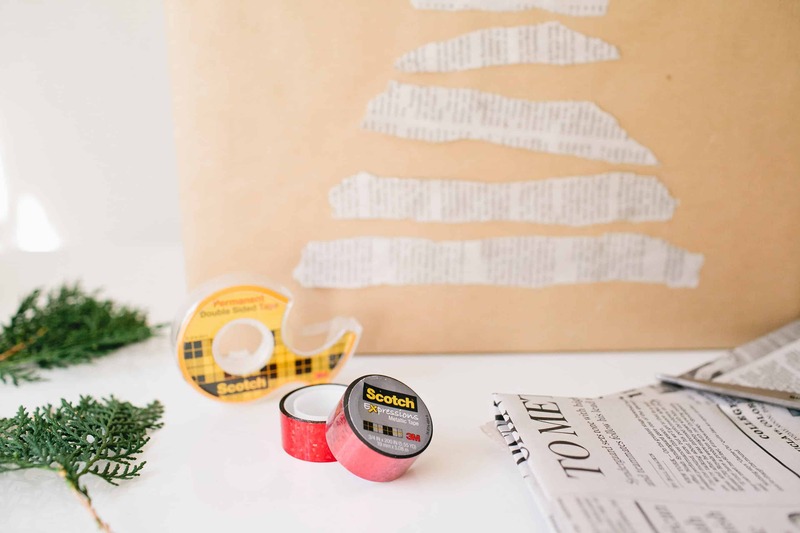 Scotch Expressions glitter washi tape is also perfect for attaching gift tags and decorative pieces to your presents. 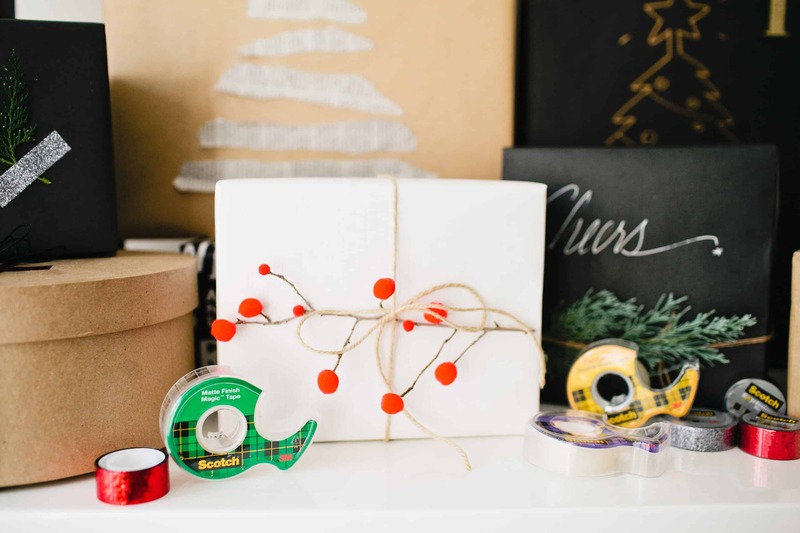 Fun tip: If you’re using light colored wrapping paper, try Scotch Gift Wrap tape. It has a unique satin finish and disappears on most paper. 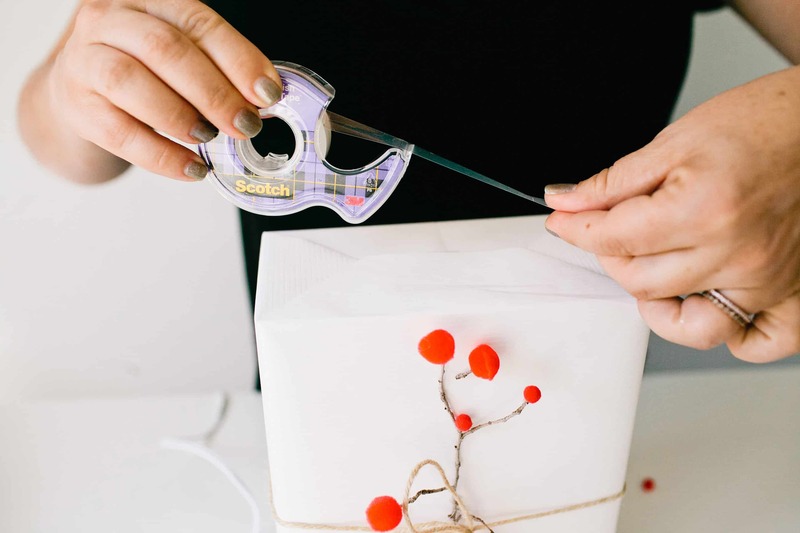 A sincere thank you to Scotch by 3M for helping to make my holiday gifts one of a kind. For this post, I used a variety of Scotch tape products and all can be found at your local Staples store. Happy gifting! Your roasted tomato soup is amazing and as a home cook, easy to make. I have made it repeatedly and now make multiple batches to share with my friends! 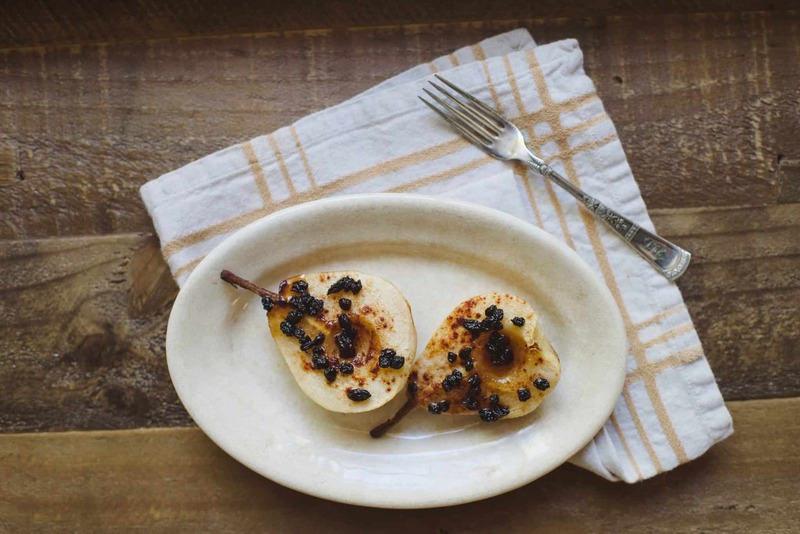 Thank you so much for such an awesome recipe! !